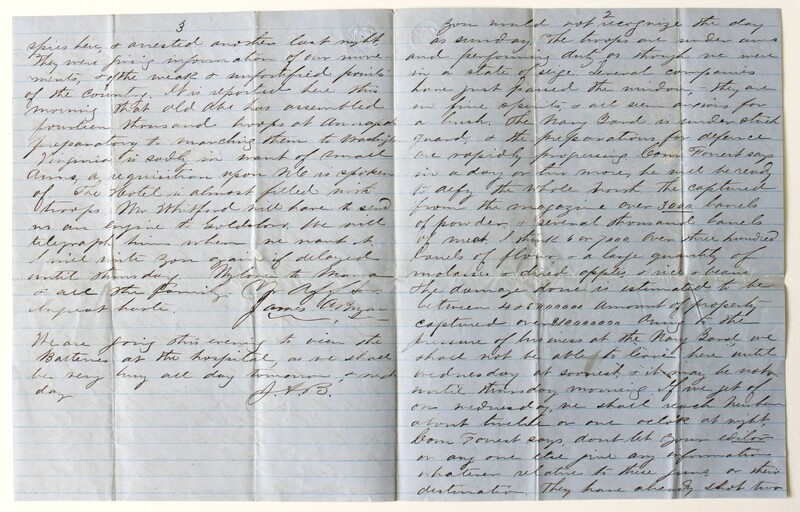 Item description: Bryan writes to his father after his arrival at Norfolk. Because many troops that guarded the river, he was encouraged to “take to the rail.” In the midst of the secession crisis, Bryan reported many uniformed soldiers. He also warned his father of spies who told plans to Union soldiers. The spies were arrested and two were killed for their treachery. Item citation: From folder of the Bryan Family Papers #96, Southern Historical Collection, Wilson Library, University of North Carolina at Chapel Hill. 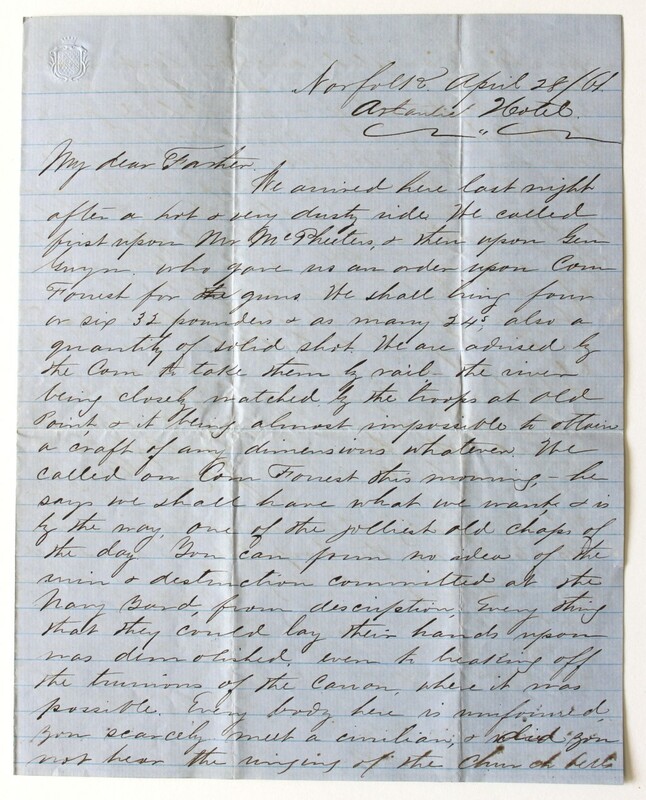 This entry was posted in Southern Historical Collection and tagged Bryan family, Norfolk, spies, Virginia. Bookmark the permalink.